Intellectual capital is an investment in the organization and it is perceived to be a strategic resource and a source of competitive advantage. The purpose of this chapter is to test the relationship between intellectual capital and business performance of pharmaceutical firms in Kenya. The specific objectives are to determine whether human capital, structural capital and relational capital influence business performance of pharmaceutical firms in Kenya. The results indicate that human capital, structural capital and relational capital influence business performance of pharmaceutical firms in Kenya. Human capital and structural capital relationship strongly exist among the studied pharmaceutical firms and significantly influenced business performance positively. In addition, the study confirmed that human capital, structural capital and relational capital are dimensions of intellectual capital. The developed model confirm that the theory fitted data with fit indices above or below the required thresholds and the empirical results provided strong support for the model. This book chapter relates intellectual capital with corporate espionage in pharmaceutical firms in Kenya. Specifically, it narrows to the components of intellectual capital which are: human capital, structural capital, and relational capital. Understand the link between intellectual capital, corporate espionage and geopolitics. Understand intellectual capital, its meaning and its relation to business performance in pharmaceutical firms in Kenya. Discuss the components of intellectual capital. Analyse several theories related to intellectual capital. Understand empirical evidences of researches done in intellectual capital. Provide solutions and recommendations of the chapter. Make recommendations for further research in intellectual capital. Intellectual capital can be linked to the corporate espionage due to the components of intellectual capital, human capital, structural capital and relational capital. Issues of innovation and intellectual property rights derives from acquisition of intellectual property that has adverse effects to business performance of corporations not limited to pharmaceutical firms in Kenya. 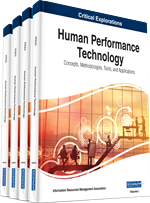 One of the critical issues is that human capital is considered an intangible asset and yet this is what offers organizations a competitive advantage. This includes the sequestration of property information such as research and development, policies, and marketing strategies which are key subsets of relational capital. Corporate espionage is rampant in pharmaceutical firms since it heavily relies on research and development (R&D). Kenya is located in Southeastern Africa and an economic hub for the region which highlights the relationship among politics and economics especially in how pharmaceutical firms are operated and managed. In the contemporary era, it is recognized that knowledge has become the main source of social, economic, and cultural development. Knowledge is embodied in human beings in tacit and explicit forms. Tacit knowledge is mainly based on common sense while explicit knowledge is derived from academic accomplishments. In a knowledge-based economy, almost all activities are based on knowledge which have become the most important economic resource replacing financial and physical capital (O’Donnell, Regan, Coates, Kennedy, Keary, & Bekery, 2003). Many organizations focused their attention on using and strengthening the knowledge-based assets of organization to gain exponential growth (Hamzah & Ismail, 2008). According to Stewart (2001), the knowledge-based economy is constituted on three pillars. First is knowledge that we buy, sell, and acquire; second, knowledge-based assets have become more crucial to the organization. Third, in order to prosper new management techniques, new technologies and new strategies are required to explain the knowledge based assets. However, the knowledge embedded in individuals and organizations has been stated as Intellectual Capital (Demediuk, 2002; Sullivan, 2000; Stewart, 1997). In a knowledge-based economy, organizations are managed on intellectual capital and are completely dependent (Khalique & Shaari, 2011). This stipulates that intellectual capital is a critical source for organizations to obtain competitive advantage. Despite the importance of intellectual capital, most organizations do not grasp the importance and the application of intellectual capital in their own organizations (Bontis, 2008; Collis, 1996). Today’s organizations are facing tremendous and fierce global competition for their survival, and intellectual capital is recognized as a critical resource that drives economic growth and organizations to compete global challenges (Huang & Liu, 2005). Intellectual capital is knowledge that can be converted into value. Stewart (1997) broadens the definition of intellectual capital as intellectual material, knowledge, information, intellectual property, experience, and expertise that can employed to create wealth by developing competitive advantage in an organization Edvinsson & Malone, (1997). The objective of the book chapter is to determine whether human capital, structural capital and relational capital influence business performance of pharmaceutical firms in Kenya.